Teeth that are properly spaced are easier to keep clean, which means they are less prone to dental diseases, like tooth decay and gum disease. A balanced bite puts less pressure on the jaw joint, which means that it is less likely to develop TMJ disorders, and you are less likely to struggle with bruxism as well as abnormal wear and tear. 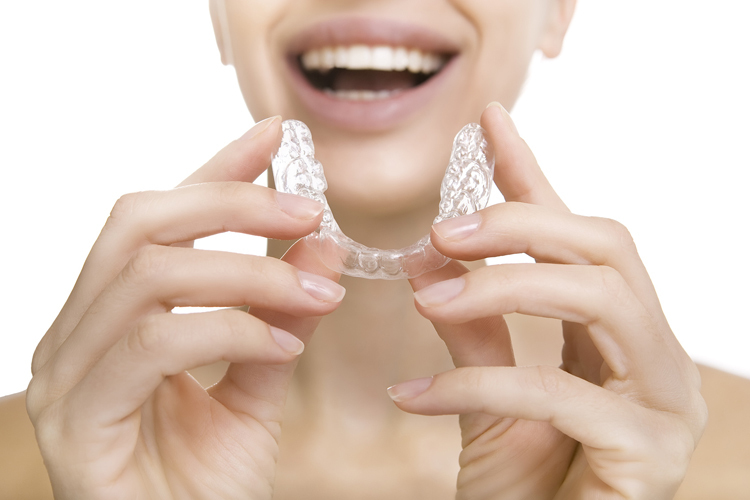 If you have bite abnormalities or malocclusions, our San Fernando Valley Invisalign expert may recommend Invisalign. Invisalign is a special type of orthodontic treatment that is especially popular with adults because it straightens without the need for braces. Instead, it uses clear plastic aligner trays. These trays are designed to fit your teeth precisely at different stages of treatment. Every two weeks, you will wear a new set of trays, or one for the bottom teeth and one for the top teeth. These trays are designed to fit your teeth according to the predetermined treatment plan, and your teeth will gradually move until they are perfectly positioned. You will visit our expert in Invisalign in San Fernando Valley periodically to ensure your teeth are progressing as expected, and to receive new aligners as needed. Our San Fernando Valley Invisalign Expert may recommend Invisalign if you have crooked teeth, gapped teeth, crowded teeth, an overbite, an underbite, or a crossbite. Your teeth and gums should be healthy and free of any untreated dental diseases for the best results. At your consultation, we will take X-rays, impressions, and other records, which will be digitized and used to create a virtual model of your teeth. This will form the basis of your treatment plan and used to create your aligners. Once you receive your aligners, we will explain how to use them and how to put them in and take them out. The aligners are clear and almost invisible when you wear them. Most people will never know you are wearing them. They are smooth and will not irritate your gums or cheeks. You can also take them out when you eat or drink, so they will not interfere with your normal diet. You can also take them out to brush and floss, so good dental hygiene will be easy to maintain. For the best results, you need to wear your aligners at least 20 to 22 hours a day and visit our expert in Invisalign in San Fernando Valley periodically for evaluations. Call us today to learn more or to schedule a consultation with our dentist.